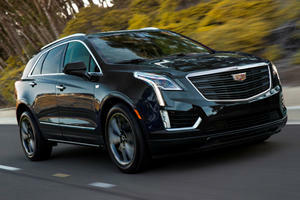 Cadillac’s latest design language has transferred well into the striking XT5 SUV. Just one engine is made available – a 3.6-liter V6 gasoline engine with outputs of 310 hp and 271 lb-ft. Those figures are sent through an 8-speed automatic gearbox to the front wheels in base trims, and all wheels in upper trims. Luxury trim notably adds leather upholstery and heated seats, and allows for extra options. Available safety equipment includes autonomous emergency braking, lane keep assist, reverse camera, rear park sensors, and lane departure warning. 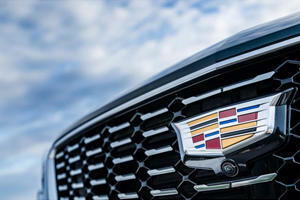 Cadillac’s new Sport package gives the XT5 a dark, aggressive appearance. 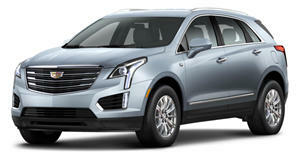 The Cadillac XT5 is getting a subtle mid-cycle refresh. 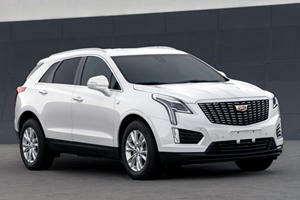 People want three-row crossovers, but is Cadillac too late to the game?